Rick and George work so well together. 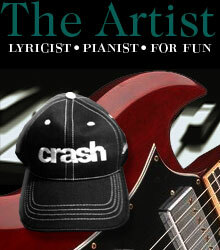 lyrics & experience the points intended. hits me. The concept of a song, starts quick and flows through my sole. 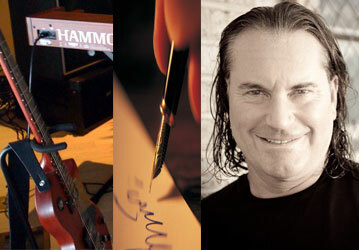 to move forward, creating the song. lines, as in the lyrics to Timekeepers. portion of the vast realm of creativity." Artie Lang, asked Rick many questions, including other musical acts to perform and such on the tour. Rick, eloquently answered each question with other recognized artists that will be involved with his next tour. Rick, Jenda and I spoke of the tour, the title and such two weeks ago. We'll have some work to accomplish in preparation of the many shows Rick Derringer and his band will perform, with his talented friends of recognized bands/acts, on this upcoming series of concerts. Bandana, (the song) can be previewed to the left. 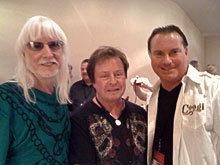 This is Rick Derringer live performance tonight on Direct TV live and on national radio broadcast on radio of, "Bandana". I wrote this song after a stint at Thunder By The Bay 2 years ago. Walked back to tower residence, and write for 3 hours this song. Rick, Jenda and I were 2/3rds complete with our CD. Rick picked it up, headed a couple of days later into Panda Productions Studios, Clearwater, Florida and Bam! Here it is live. Rick invited me to a first performance on his tour shortly thereafter. Look how handsome he appears and with how effortless his guitar skills operate rhythm and lead. Bandana, is the title of his next tour. God bless Rick's talents and our friendship. Tommy James Mannausa. songs to "create". I said "cool..."
'Derringer' on 58. Fall in love all over again. look at my web site? “Tommy James Mannausa” creative area. 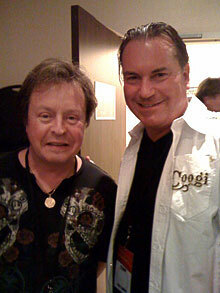 through my music partner, Rick Derringer. season of what, as I understand, are 13 shows per season. the studio for filming on September 12th. transpired. We auditioned “Hit Me” and “Time Keepers” at Mr.
perhaps this song will be aired during the series as well. come up with a re-draft of this element. lectured Auburn University's Music Appreciation Classes. are, and what fun and how hugely satisfying our music is. Rick is clearly one of the very best musicians on the planet. non boastful and a hammer on lead, rhythm and bass guitars. net. Again, it sounds so simple, but, as a song writer, it's not. woman/chicks... I said, "I can already feel the pain! of the best keyboard players on earth. I remember that one. transforming our beloved Land of the Free from all sides. of the 'economy', "Down The Drain”was born that night! inside his heart and mind now. He is alone and working. around him. I'll hear it soon. I can't wait. next song: "It's Down The Drain". carrying in his head for over a decade. 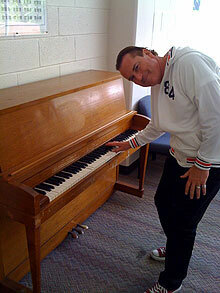 He created this sensation on the piano. morning. We were all so happy that day! God Bless my talented friends: Rick & Jenda Derringer! could remember his name, to thank him. My mom's art major from MSU, I think, was what got me going. 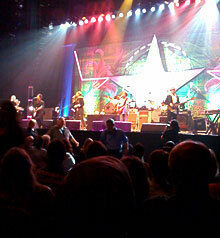 Casino to hear Ringo Starr and his All Starr Band' 11 US tour. Your Back Stage passes will be at Will Call". cleaning up we headed to will call at 7:45pm. 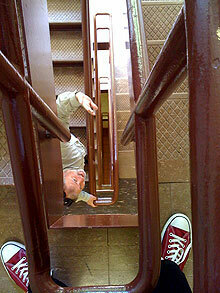 type earpiece, "I've got Tommy and we're heading up...". brightly lit hall was Rick leaning on the wall. comments about our friendship and rock n roll partnership. toward the end of the 2 hour show that was magical! natural high, enjoying life and fulfilling a piece of my passion. again seeing you 'do your thing on stage'!